The refractive indes (RI) of the mounting medium can have a significant impact on the image quality. The mounting medium can have a significant effect both on the image quality and on the specimen itself. 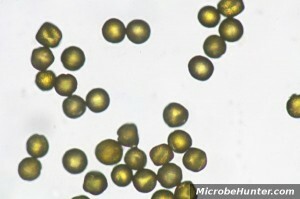 Permanent slides of pollen grains can be used as a reference for identifying unknown pollen samples. It is therefore important, that the pollen grains remain in an authentic, natural shape.